Starting with version 2.3.2 of Yottie, it is now required to get an independent YouTube Api quota to work with Yottie. This article will explain how to get it and how to use it in your plugin. To do it, click on “Project” button and select “Create project” from the drop-down select.You will see the new project window. 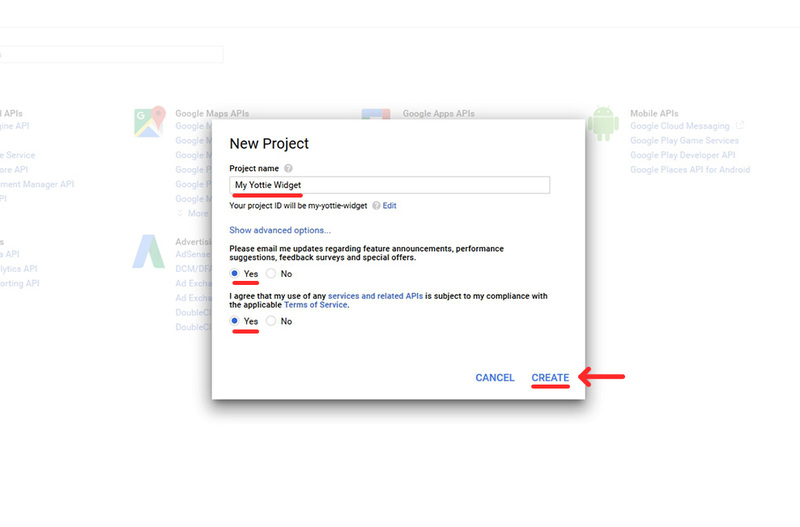 Enter the project name and select “Yes” in the other two fields in this window. Click “Create” button to continue. Creating a project might take some time, so you’ll need to wait for a while until this operation is complete. Congratulations! You’ve just created your first Google APIs project. 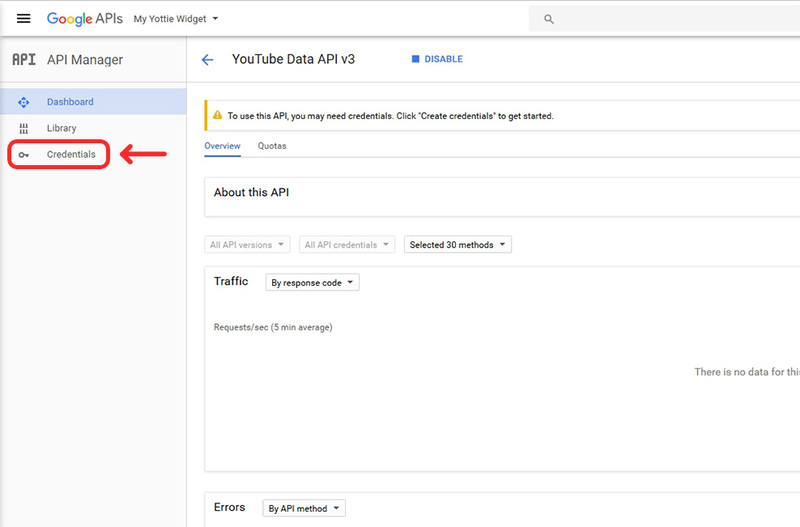 Now let’s see how you enable YouTube Data API. 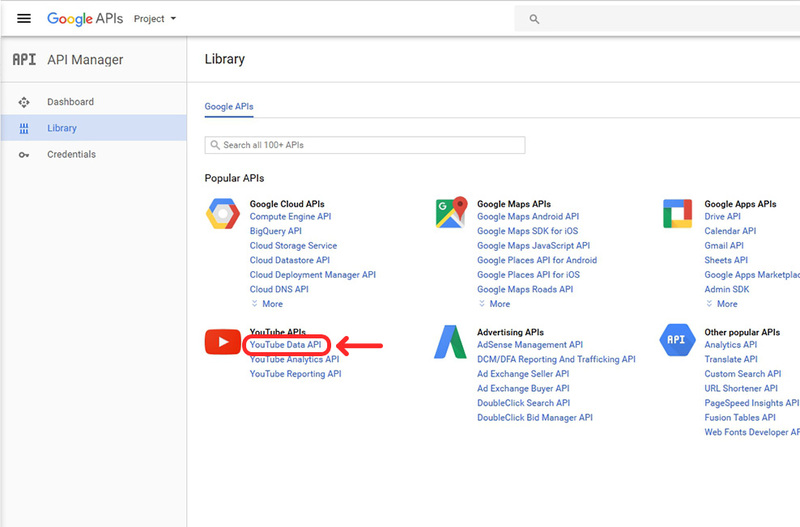 The first thing you need to do is open the “YouTube Data API” page. Click “Enable” link in the page’s header. Well done! Let’s finally create the key. 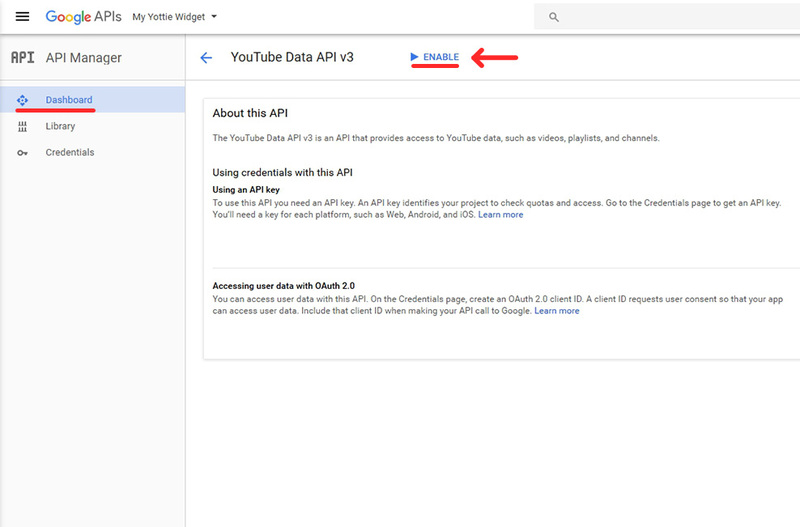 Go to “Credentials” in the left hand menu of YouTube Data API page. Done! You’ve got your API key. Now that you have your key, you can provide it as the “Key” option for the Yottie plugin. Those of you who have the jQuery version, need to enter the key as the data-yt-key attribute to your code. 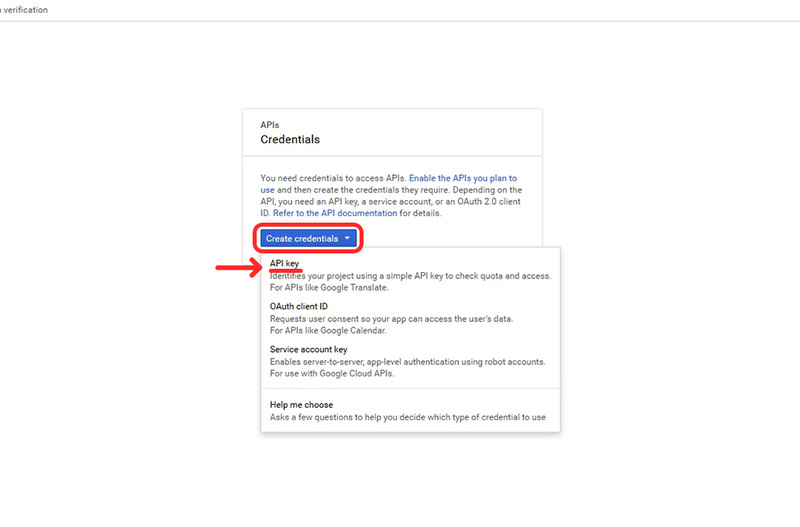 If you’re using the WordPress version of our plugin, you need to paste the key into YouTube API key field on Preferences page. 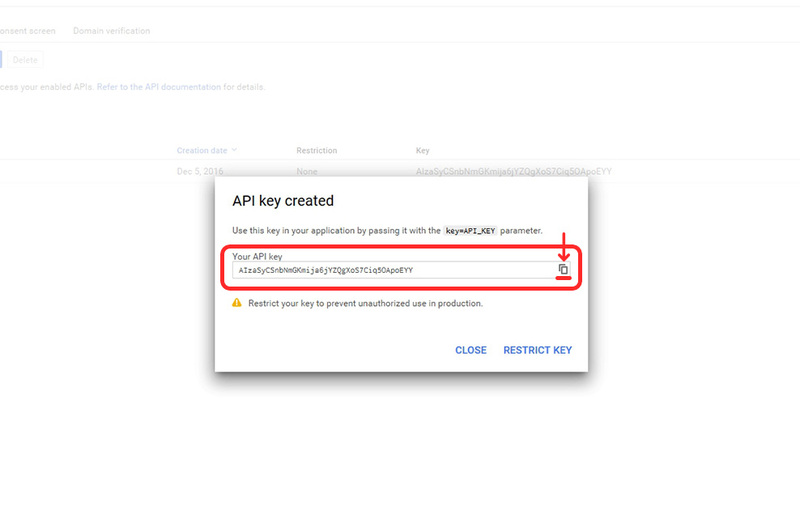 Find out more about YouTube API key.